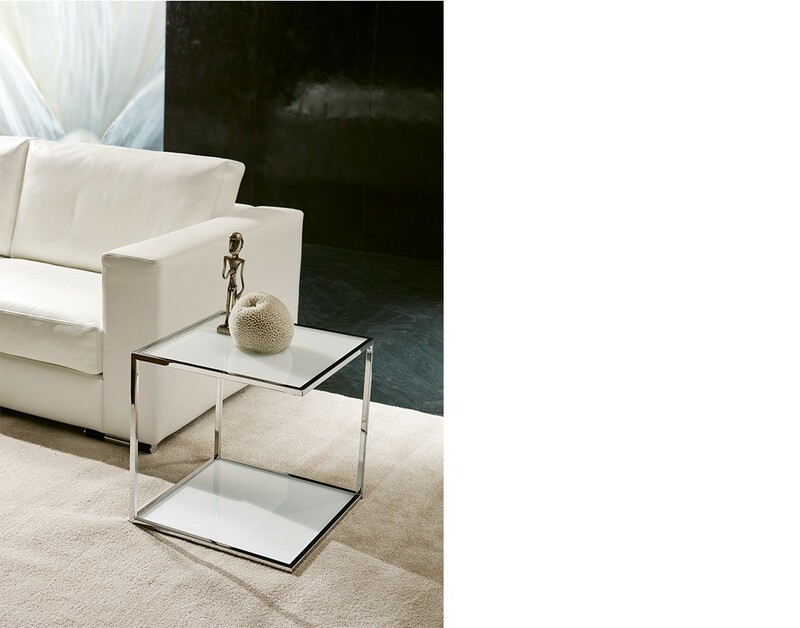 Serving coffee table with structure in chrome-plated metal. 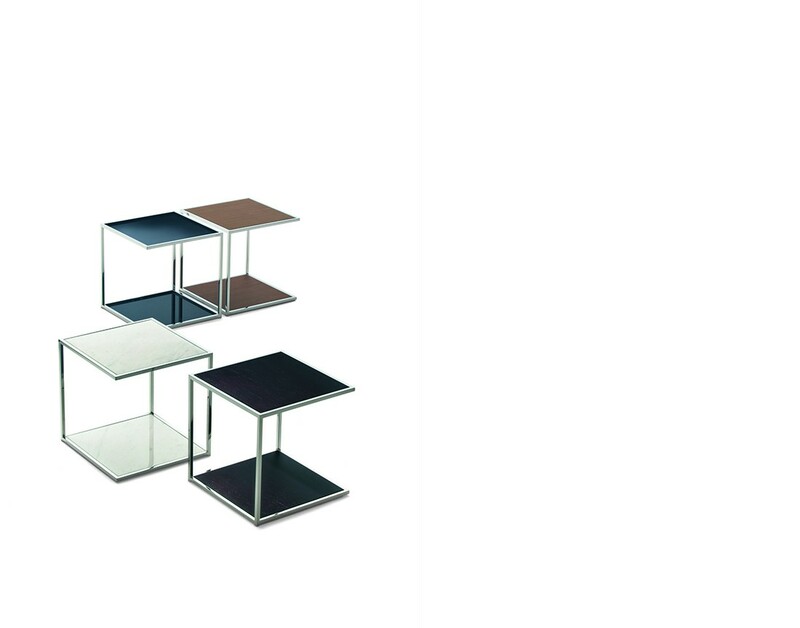 Tops veneered in ash, in lacquered glass (extra light white, black or moka) or in polished marble. Available finishings: WG wengé, NC walnut, TB tobacco, open pore matt lacquered ( L21 white, L29 pearl, L23 cappuccino colour, L25 smoke grey, L22 black, L24 red ).